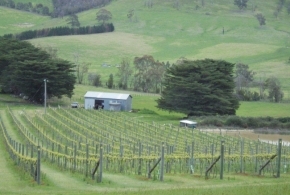 Atika is situated on Long Gully Road in Healesville, the heart of the Yarra Valley in Victoria. Healesville is approximately 1 hour’s drive east of Melbourne. The Yarra Valley is renowned for its cool climate conditions which make it ideal for growing Pinot Noir and Chardonnay grape varieties. Regional rainfall occurs predominantly during Winter and Spring with Summer tending to be cool, dry and humid. The Atika vineyard is North-West facing and its soil comprises a thin layer of grey loam over clay. The elevation of the site is on average 155 metres.